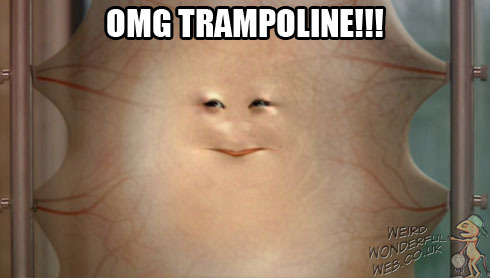 Weird Wonderful Web: OMG trampoline in Dr Who! We enjoyed the funny OMG Trampoline video from the last post so much, we just couldn't resist doing our own remix. A little something for the Dr Who fans AND all you trampoline fans!